You are here: Home » Shipwreck Excavation – We’re Live! 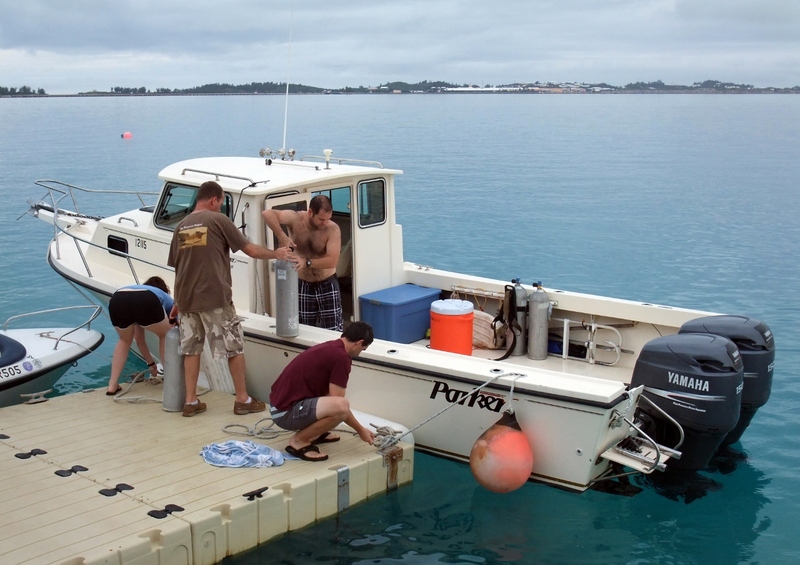 Warwick sank in Castle Harbour, Bermuda almost 400 years ago. The galleon collided with the reefs during a fierce hurricane in 1916. We have joined a team of archaeologists from around the world to investigate this incredible site. 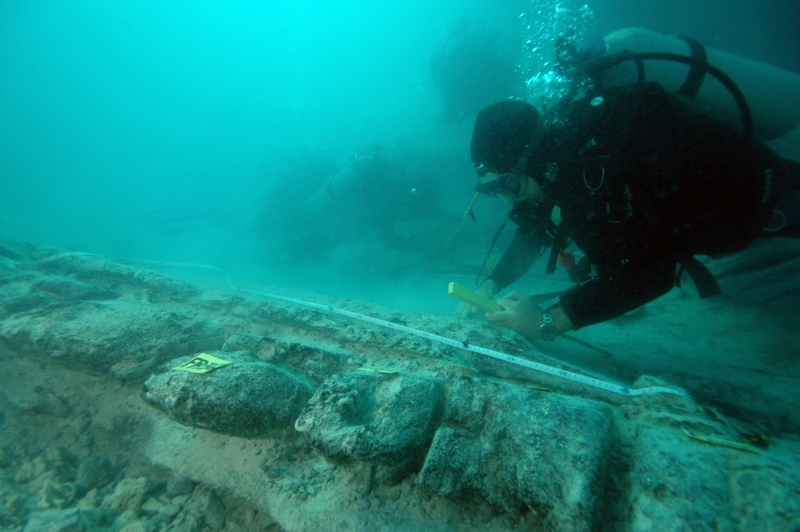 Veronica and I will post daily updates about the excavation, the island and the artifacts uncovered by the team. We want to you to be a part of the Warwick project, and will answer as many questions as we can from the field. The first two weeks have blown by. As assistant director, I flew in early, along with DSO Mike Gilbart, Conservator Maureen Merrigan and Marine Engineer James Davidson. We had to get the entire project up and running before the rest of the team arrived. Everything had to come out of storage – pumps, screens, line, anchors, weights, buoys, bumpers, rebar, etc. etc. etc. Everything turned out to be broken. Actually, that is a lie. Only the pumps were broken – but we are so completely dependent on them they pretty much constitute “everything”. When they don’t work, we don’t work. There was moderate a burst of panic as we tried to determine what was wrong, and how to beg/barrow/steal new pumps if the old ones had truly given up the ghost. Apparently all they needed was a little love and attention. As reliable as always, James sorted them out. 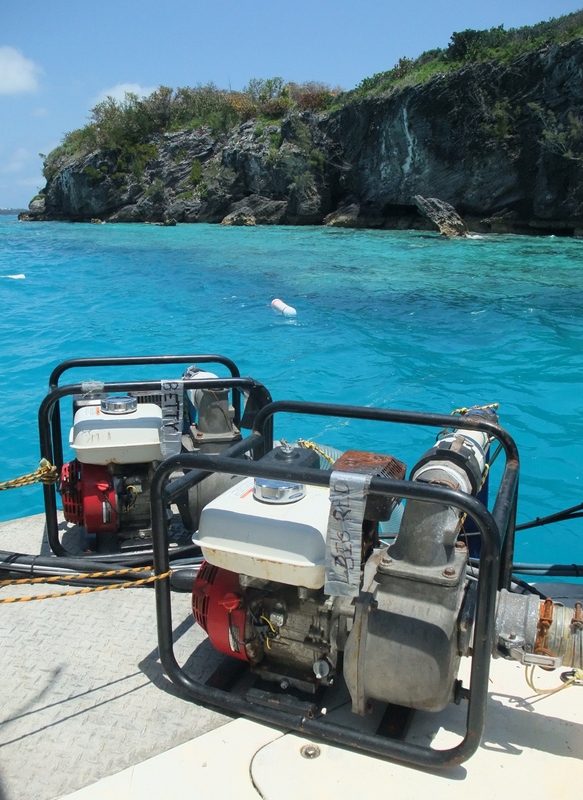 Bermuda is tough on equipment, and the salt air gives equipment a short half life. We stripped them, ground off the rust, greased everything, popped in new filters and spark plugs, and slapped them back together. The full overhaul did the trick, and both pumps roared back to life. In addition to getting the equipment sorted out, we had to prep a mobile office and lab. 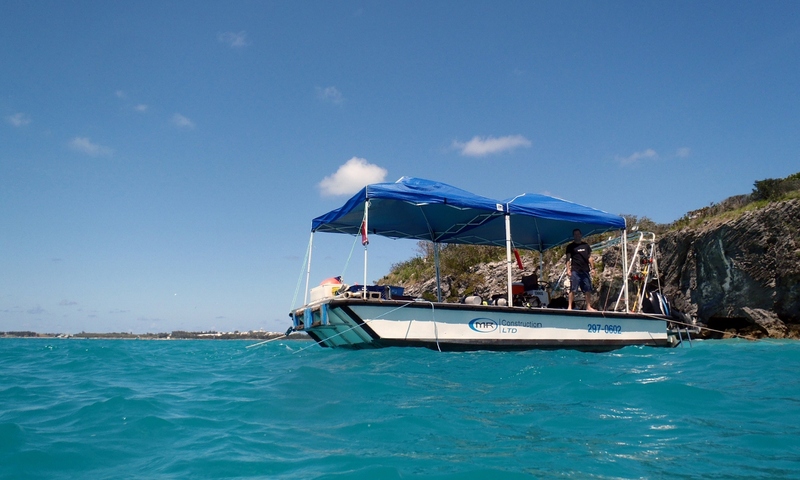 We will be stationed on the east side of the island for the next two months, with minimal opportunities to commute back to the Bermuda Maritime Museum. Our first week was a race against the clock. A foul weather system planted itself offshore and refused to leave. 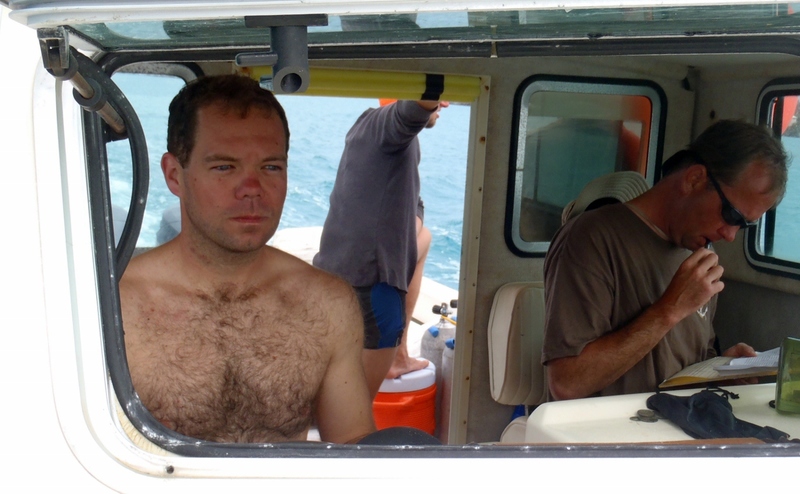 Erratic winds and a heavy chop prevented us from meeting and anchoring the dive barge early in the week. Timing was critical, as Bermuda Day was fast approaching. The annual event shuts the whole island down for a four day weekend. If we didn’t get the barge by Wednesday, excavation would be delayed until Monday, putting us half a week behind schedule. On Wednesday morning, we rolled out of bed just as daylight was creeping over the horizon, grabbed breakfast to go and ran down to the boat. We were racing the tide. Long Bird Causeway separates Castle Harbour from the north shore of the island. The Museum’s Parker boat can only make it under the bridge at half tide, or lower. Our window of opportunity came very early in the morning. We made it beneath the bridge with only 6 inches to spare, and had to walk the boat along by pushing off the iron girders above our head. Setting the barge took the whole morning. We had to position her over the site, put out 4 anchors, erect the canopies, set up the pumps and unpack, organize and stow our gear. At last, we are ready to excavate! So happy to see a new post from you! This middle aged elementary school teacher is living vicariously through your adventures! Looks good so far! Can’t wait to read more!